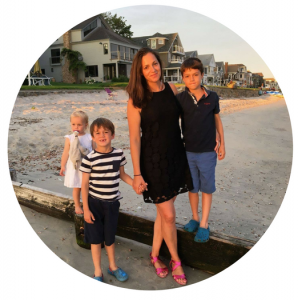 When we were researching options for our summer holiday this year (which just so happens to be one of my favourite pastimes! ), I have to admit that it did take a bit of convincing for Mr Dais Like These to consider a city break as part of our holiday. 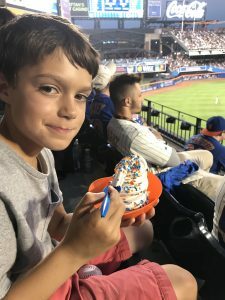 He is normally happiest on a lovely beach somewhere, but I was desperate to return to New York after our short visit last year, and the boys were super keen too. We managed to win him over, with a compromise of also spending some time enjoying the beaches of Long Island. 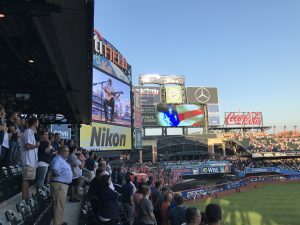 So along with amazing stays on Long Island and then Connecticut, we spent a total of four days in the big city. 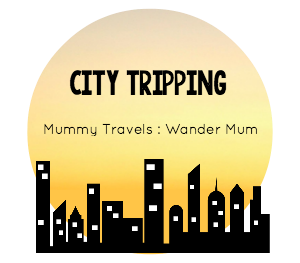 During that time we packed so much in; from the big must-see tourist attractions to simply playing and strolling in the park, we did it all. 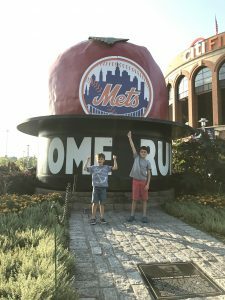 For all the major attractions, we used the New York CityPASS ticket booklet which helped us to save 40% off the regular combined admission prices of all the attractions included. There were a great variety of attractions to choose from too, something to keep each of us happy. 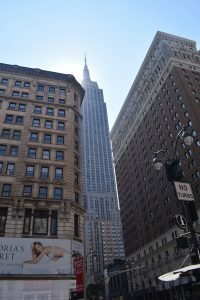 Not many tourists visiting New York will be able to resist a visit to the Empire State. This iconic building, which you find yourself looking out for at every turn, affords absolutely stunning views of the city. 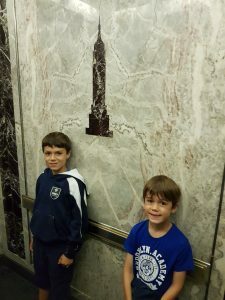 The building’s stunning art-deco interior is almost as impressive as the history of its construction (taking just over a year to complete), and it certainly feels like a real treat riding the elevators up to the observatory decks. On arrival you need to pass through airport style security, which inevitably causes queues. 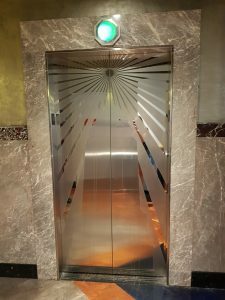 On both of our recent visits we have decided to get up early to beat the queues, and have been so grateful to sail through to the elevators. With young children this is a smart move, as I can see them really struggling with a long queue and not much room to move around. Having visited on both a beautifully clear day last year, and on a very moody skied day recently, I can confirm that the view is just as impressive no matter the weather! 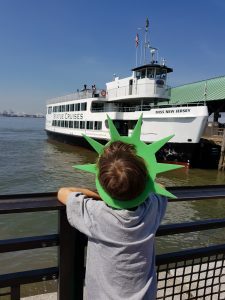 A visit to the Statue of Liberty was top of my six-year old’s sightseeing wish list, and luckily a visit to both Liberty and Ellis Island was included on our New York CityPASS. 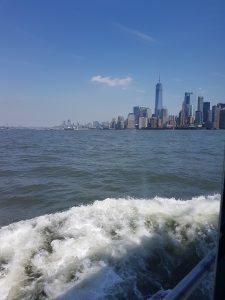 So, on a very hot summer’s day, we headed down to Battery Park to catch the ferry. I regretted not getting up earlier as the boat was very busy and it took a bit of time exchanging our tickets and getting through the airport type security. But it was worth it! 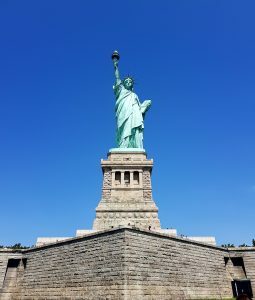 Having seen the famous statue countless times on television and in books, the kids were super excited as we approached Liberty Island on the boat, and they were most certainly in awe looking up at the towering statue as we walked around the island. 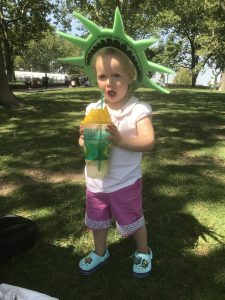 On Liberty Island you will find a gift shop and cafe, and we cooled down with fresh lemonade from a little stall. The cups, in the shape of the famous torch and actually very big, double up as souvenirs and were well worth the $4.95. One treat on the island, that I hadn’t really expected in all the excitement of seeing the statue, was the fantastic view back across to Manhattan. 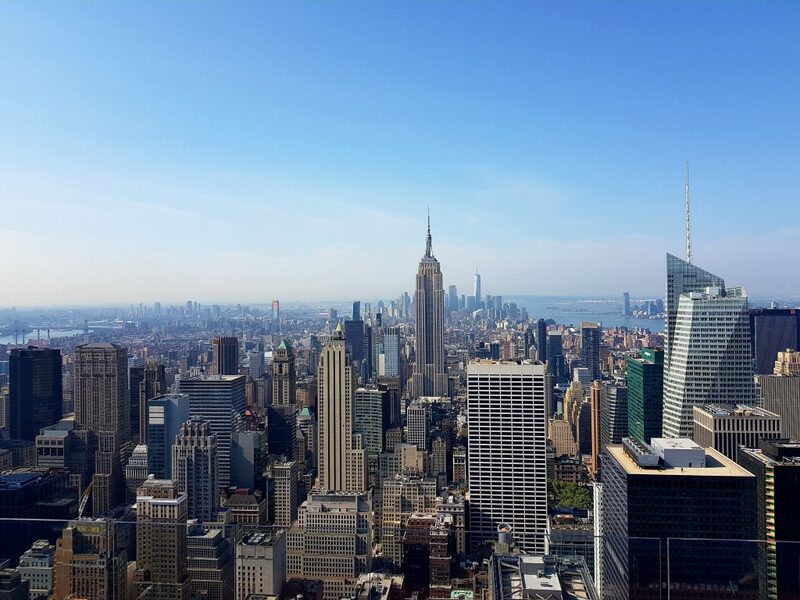 The viewing deck at the top of the Rockefeller Centre is another spot to take in views of the city from above. 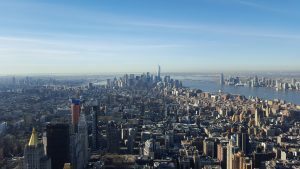 I read a blog post a while back debating where you could find the best view of New York; from the Empire State Building, or from Top of the Rock. My instant thought was obviously from the iconic Empire State, it’s famous for it, right?! 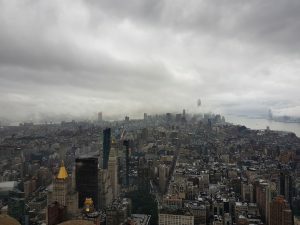 But in the post I read, it was pointed out that from Top of the Rock, you could actually see the Empire State as part of your view; that makes it a bit of a winner! We visited on a beautiful, clear and hot day, and despite arriving mid morning the queues were not too bad at all, we were soon up on the observation decks enjoying spectacular views across the city. 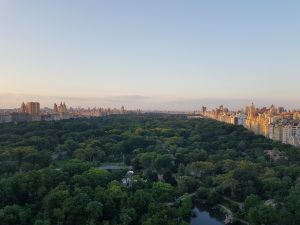 Overlooking Central Park you will find the very impressive building of the American Museum of Natural History and if you have a dinosaur mad child like us, this is a perfect place to visit! Home to the 122 foot long Titanosaur, as well as a whole host of other impressive creatures, it certainly sparked his imagination. 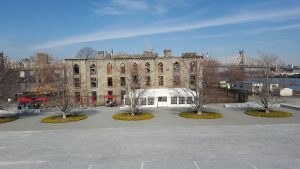 Also included in the New York CityPASS, a visit to the museum can be an ideal place to escape from the New York weather; a place to cool down on a hot day, or escape the rain or snow. 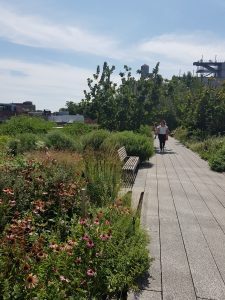 This elevated park, created on a disused railway line, is a haven above the busy streets of the city. 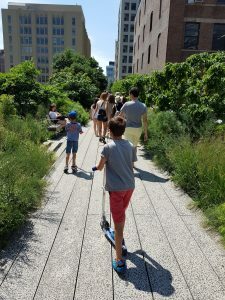 The High Line has got to be one of my favourite places to visit in New York City, and it’s great for kids too. 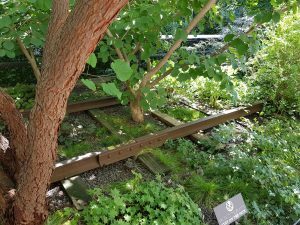 Lined with beautiful greenery, and countless places to stop, sit and relax, the High Line is a perfect escape for kids who may be a little overwhelmed by the craziness of New York. 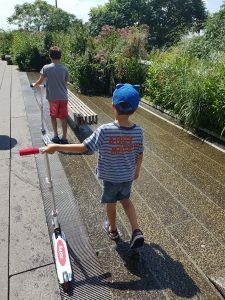 I’m not sure the boys were technically allowed scooters (the sign said no bikes), but they enjoyed scooting along and taking in the views of the city, the Hudson River, and the many art installations that line the route. 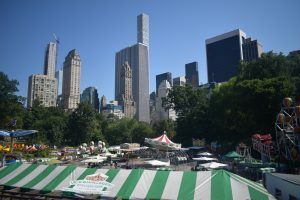 Central park is the ideal place to head with kids during a visit to New York. 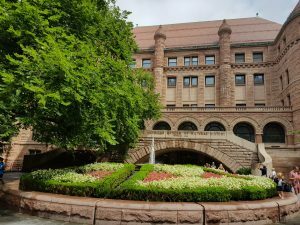 It is a hive of activity, especially on a summer’s afternoon, with so many heading to escape the bustling city streets. 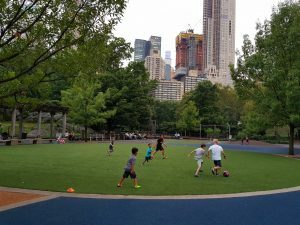 From the endless number of runners and cyclists, to the kids splashing and playing in the playground, to those enjoying a picnic; it is the perfect place to head to let off some steam or, equally, to simply sit and relax. And with an ice rink in the winter and a fun fair in the summer, kids will simply love it! 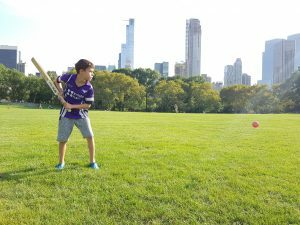 When we asked my nine-year old what he wanted to do in New York, his answer was to find some children to play football (or soccer to the locals!) with in Central Park. And I’m happy to say that he got the opportunity on more than one occasion! Baby Dais Like These absolutely loved the splash park in the kids playground, it was ideal for cooling down on a super hot afternoon. Pizza, pasta and cheap souvenirs – what’s not to love?! 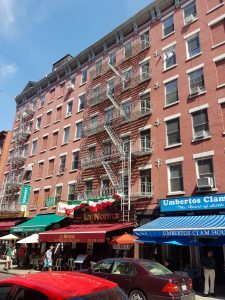 Little Italy is a tiny neighbourhood in lower Manhattan, where amongst the Italian restaurants you will find colourful decorations, buildings adorned with flags and some super quirky and interesting street art. Waiters stand out front beckoning you in to their restaurants, with promises of their daily specials. We stopped for a gorgeous lunch, and were treated to the typical friendly Italian hospitality where they are always so accepting of children in restaurants (which I love!). 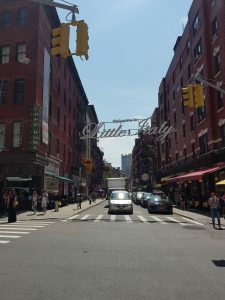 Just round the corner, you will find Canal Street which is dotted with shops stacked high with souvenirs, gifts, clothes, sunglasses and watches. OK so the latter items are probably not legit, but the souvenirs are great, and so much cheaper than in the gift shops. The boys absolutely loved browsing the key rings, snow-globes and fridge magnets. 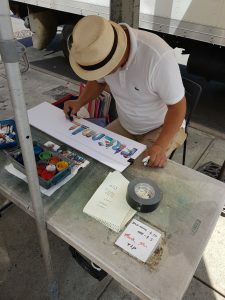 But my absolute favourite find along this crazy street had to be this guy, who painted these amazing name pictures right in front of us and charged only $10 each. It’s not often you can get a unique, signed piece of art for $10, I was so pleased with them! We added a border for $5 and needless to say we tipped. I have to admit that this was one of my bucket list items, and everyone else just had to lump it! 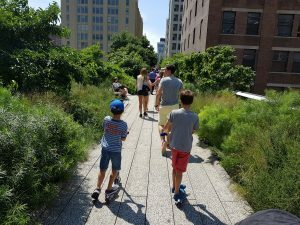 But more than lump it, everyone enjoyed it and are so pleased to have be able to say they have walked across the famous Brooklyn Bridge. 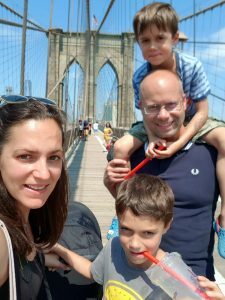 I have written all about our walk, and shared my top tips for walking the bridge with kids in tow. 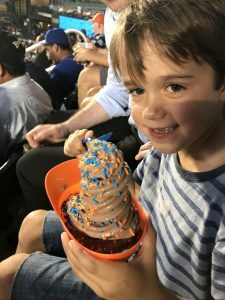 If you have sports mad kids like us, it is definitely worth checking out if there are any baseball games on during your visit. 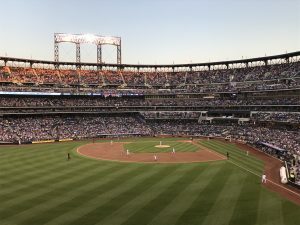 We were lucky enough to be visiting during the Subway Series – a local derby between the two New York teams; the Mets and the Yankees. As it is an evening match, I left this one to the boys and had a relaxing evening at the hotel with Baby Dais Like These. From the look of the pictures, and by the massive smiles on their faces when they came back, I can tell they had the best time! 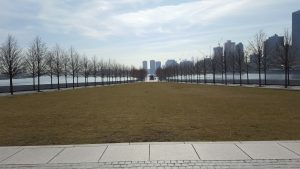 I ventured across to Roosevelt Island when I visited with Baby Dais Like These but unfortunately didn’t make it back with the boys on our recent visit. 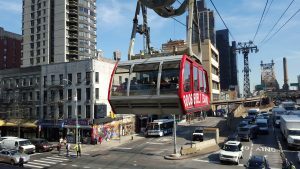 I think they would have loved taking the cable car, and having the space to run free in the park. One for next time! 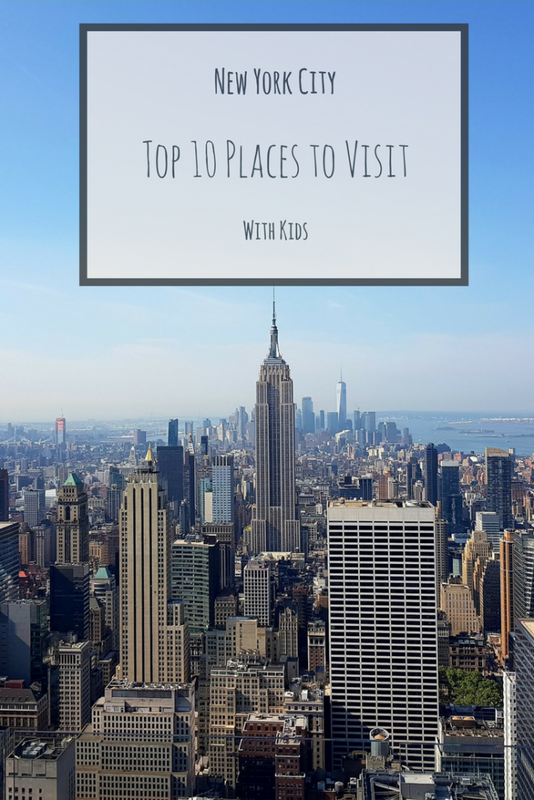 So there you have it, our top 10 favourite places to visit in New York City with kids in tow. 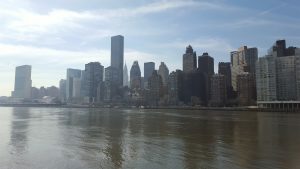 Have you visited New York with your kids? If so, what would you add to this list? 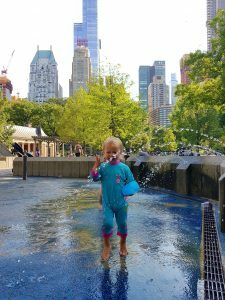 If you need any more convincing that New York is a fab city to travel to with kids, then be sure to check out the New York travel posts over on the Zena’s Suitcase blog. 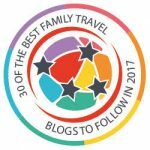 And if you are worried about taking on a long haul flight with kids, make sure you read this post by Freddie’s Mummy. 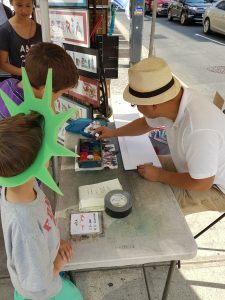 Disclaimer: We were provided with two adult CityPASS booklets for our visit to New York City, and we purchased two child passes. As always, all views are my own. Wow, central park’s collossal, isn’t it? Your picture really brings home what a haven of green it is in the centre of the city. Great post! 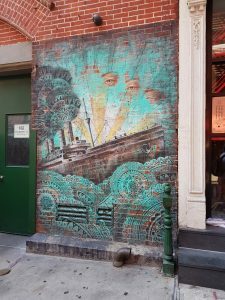 I’ve been wanting to head back to New York with my daughter and this is giving me the itchiest of feet – so much fun with kids, I really need to make that trip happen. 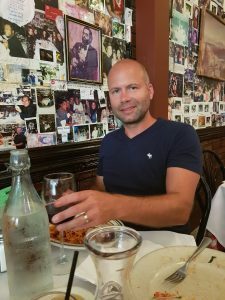 I used City Pass in San Francisco and thought it was good value. 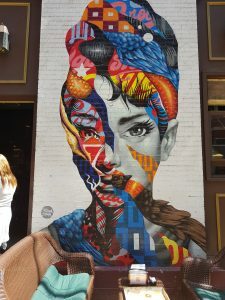 I really must visit NYC again soon! 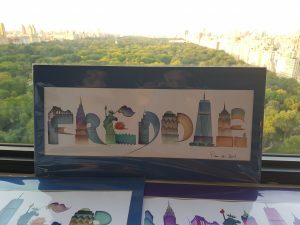 New York is so brilliant and I really can’t wait to go back with the kids. As you’ve demonstrated you and your family had a fab time!